SIRF’s Annual Benefit Soirée gathers industry leaders for an evening dedicated to seafood research. Occurring during the National Fisheries Institute’s Global Seafood Market conference, the event features organizational highlights as well as a keynote address. In 2019, the SIRF Soirée enters its 6th year. The keynote speaker for the evening is Don Kent, President and CEO of Hubbs-Sea World Research Institute who will discuss the importance of aquaculture in food security and feeding the world’s growing population. 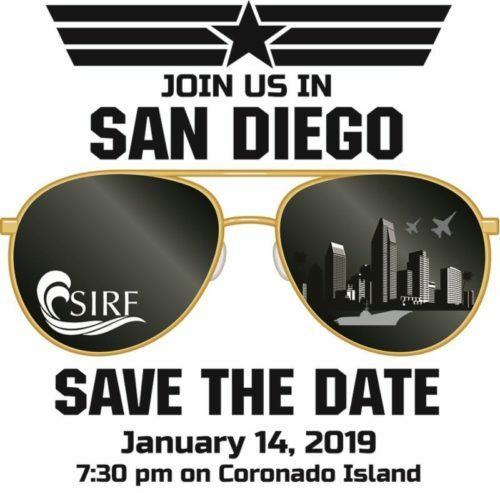 The SIRF Soirée will take place on January 14, 2019, at the Coronado Community Center. For more information on attending the SIRF Soirée, contact Geraldine Espejo.